If the good cuisine is an important factor for your well being, then do not forget to make a reservation at our hotel restaurant. The chef prepares Limeni Village with home care dishes that will be served at our tables. 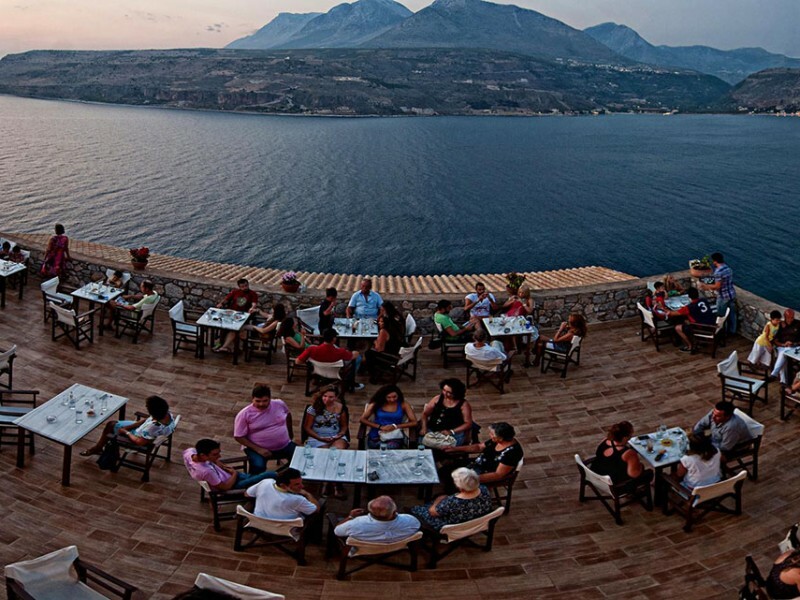 Tastes taken from the international and the Greek traditional cuisine prepared with fresh, local materials will enchant you, since their success is proven for many years . The hotel management takes care personally for the integrity of the cellar, choosing each time the compilation of bottles mostly from the country’s small wine and famous. If the good cuisine is an important factor for your well being , then do not forget to make a reservation at our hotel restaurant. The chef prepares Limeni Village with home care dishes that will be served at our tables. Tastes taken from the international and the Greek traditional cuisine prepared with fresh, local materials will enchant you, since their success is proven for many years. The hotel management takes care personally for the integrity of the cellar, choosing each time the compilation of bottles mostly from the country’s small wine and famous.